we r not talking about this one..v r talking about 2003 modle...sab sa ziadiya bharam hain us ka..
RAV-4 vs OUTLANDER vs CR-V vs X-TRAIL!!! NO OFFENCE...the above listed cars are all good indeed! 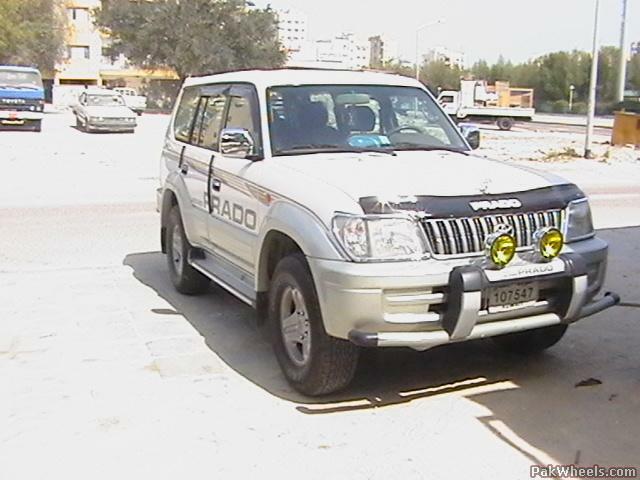 I have mentioned about my expereince driving Prado. 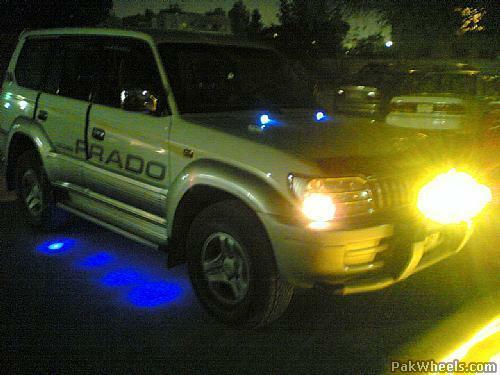 I still do have Prado and Iam still driving it its really smooth and nice ride the new is great I dont know about Cygnus but here in Kuwait by seeing the pics of Cygnus I think its Lexus jeep or Landcruiser anywayz in my opinion the new and the old model of Prado are economical SUVs which anyone can afford. 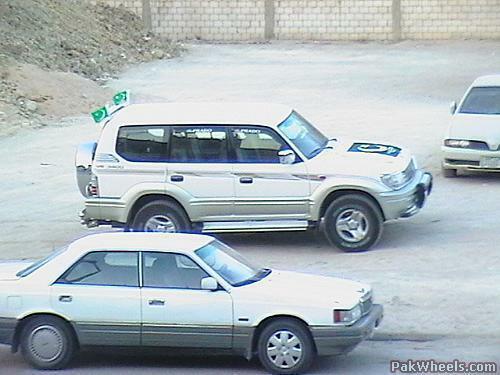 Here are some pics of my Prado. 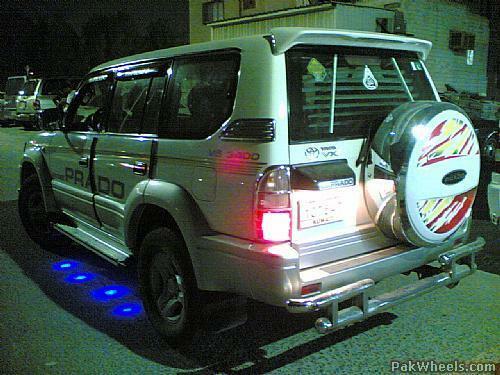 I would say for Pakistani roads Prado is the best...its big, but not too big. Its narrow enough to fit in the tight roads...power and room is ample...96-02 models hood almost has no slope, which makes is impossible to see anything that is at a distance 8 feet of less infront of the truck....so if you park infront of a pot hole ...chances are pretty good....you will forget and upon your return drop into it. 03 models have better overall visibility, but does not look like a 4WD. ek mey, aure ek meri cygnus! 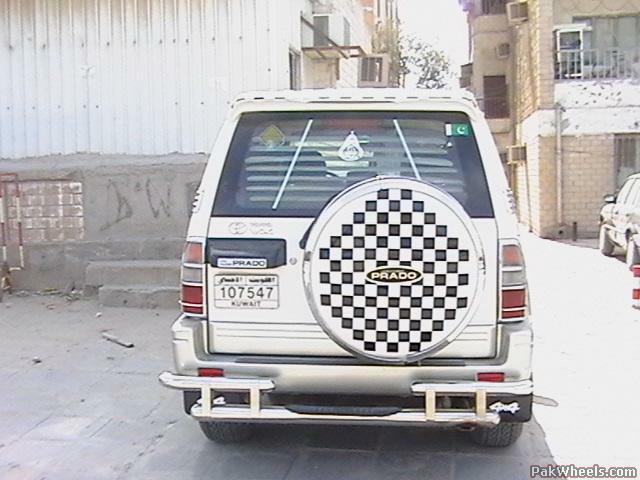 baray ho kar zarur kuch bano gay... cheetay aadmi ho tum..!! Prado isn't a great SUV and trust us man, u've got FAR TOO MANY ACCESORIES on your car , and it looks BAD, sorry Bro i just wrote the truth.